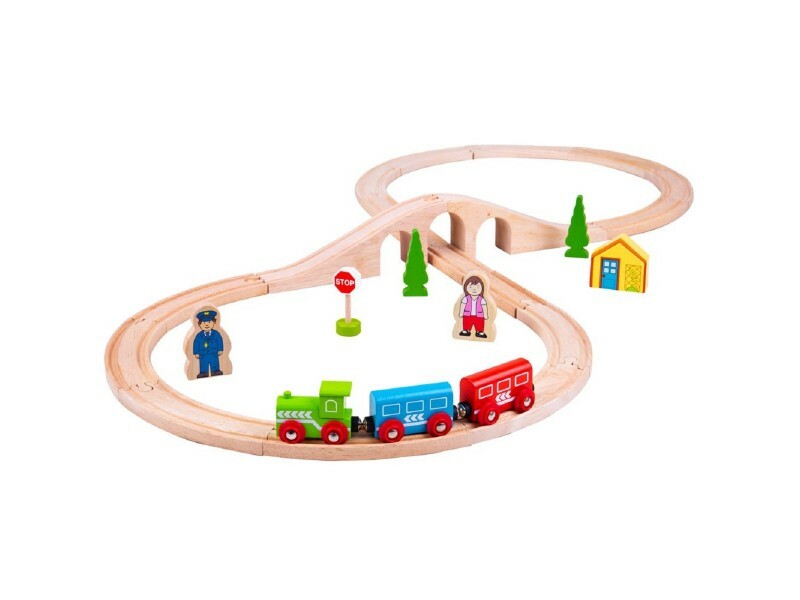 The BigJigs Figure of Eight Train Set is a 40 piece wooden train set that is a perfect toy for train fanatics of 3 years and over. 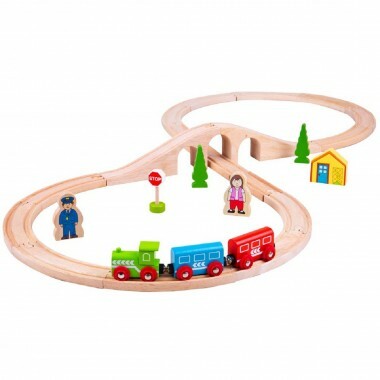 The Figure of Eight wooden train track stretches for just over one metre and includes a 3 arched viaduct which raises the track in order to form the crossing point. 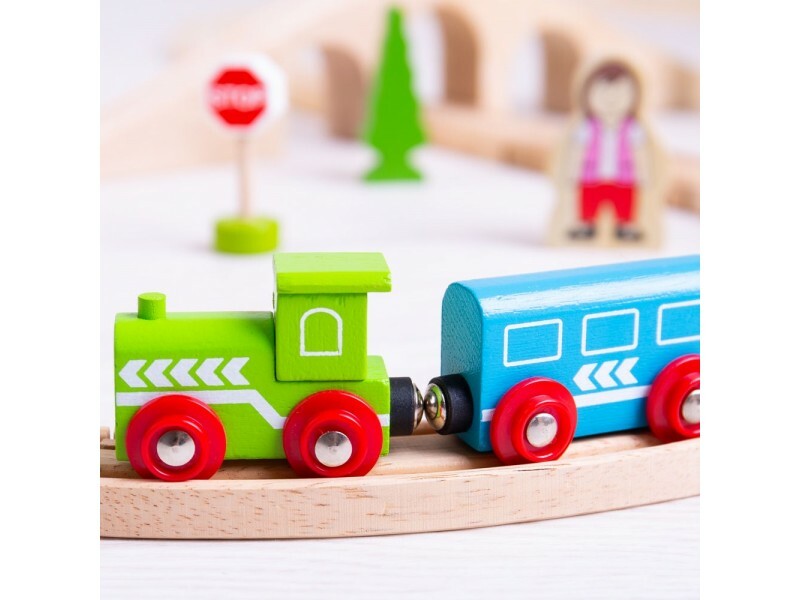 A cute wooden train steams along the track, pulling two carriages. 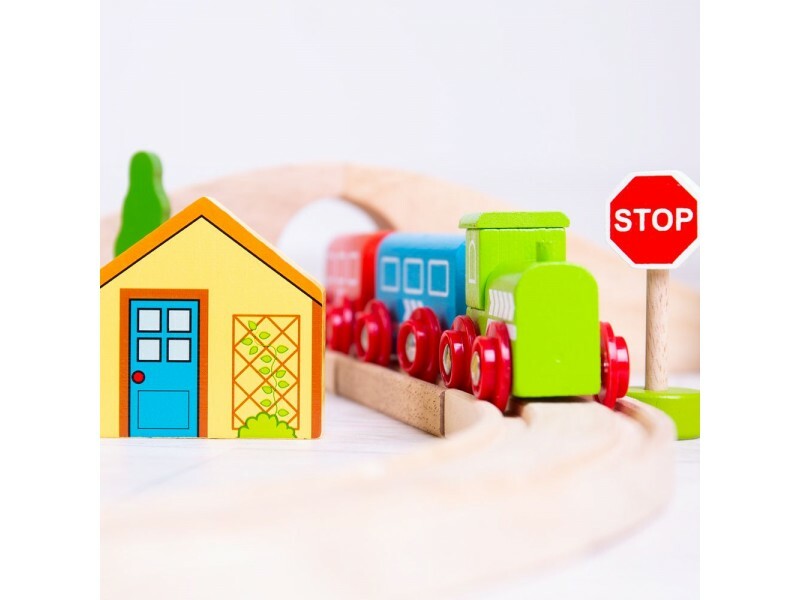 Includes pieces of scenery, building, people and stop sign which complete this lovely starter set which is guaranteed to ignite your little train driver’s imagination. Track layout: 104cm x 46cm approx. BigJigs Trains catalogue code: BJT012. 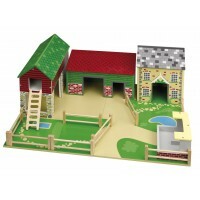 Bought this for my 1 year old, he is not able yet to use properly but he enjoys rolling the trains around. Well made product looks great. My grandson has a large collection of BigJigs trains and tracks, he plays with it for hours, so i thought this would make a great gift for another boy of the same age. This is a gift for my grandson and won’t be opened until Christmas Day. As the box hasn’t been opened I can’t give a higher rating at present.